He coined the term ‘stereotype’ in the modern psychological meaning, and critiqued media and democracy in his newspaper column and several books, most notably his 1922 book Public Opinion. His views on the role of journalism in a democracy were contrasted with the writings of John Dewey in what has been retrospectively named the Lippmann-Dewey debate. Studying at Harvard (B.A., 1909), Lippmann was influenced by philosophers William James and George Santayana. He helped to found (1914) The New Republic and served as its assistant editor under Herbert David Croly. Through his writings in that liberal weekly and through direct consultation, he influenced President Woodrow Wilson, who is said to have drawn on Lippmann’s ideas for the post-World War I settlement plan (Fourteen Points) and for the concept of the League of Nations. Lippmann was briefly (1917)an assistant to Secretary of War Newton D. Baker. Wilson sent him to take part in the negotiations for the Treaty of Versailles (1919). 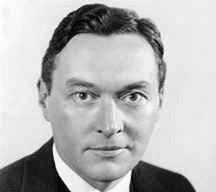 After writing editorials (1921–29) for the reformist World, Lippmann served as its editor (1929–31) and then moved to the New York Herald Tribune. On Sept. 8, 1931, his column, Today and Tomorrow first appeared; eventually, it was syndicated in more than 250 newspapers in the US and about 25 other nations and won two Pulitzer Prizes (1958, 1962): one for his syndicated newspaper column Today and Tomorrow and one for his interview with Nikita Khruschev in 1961. His first book, A Preface to Politics (1913), was mildly socialistic, but Drift and Mastery (1914) was anti-Marxist, and in The Good Society (1937) he repudiated socialism entirely. During the World War II he warned against a postwar return of the US to an isolationist policy. Essays in the Public Philosophy (1955) evoked some criticism for its natural-law theory. Perhaps his most influential book is Public Opinion (1922; Lippmann seemed to imply that ordinary citizens can no longer judge public issues rationally, since the speed and condensation required in the mass media tend to produce slogans rather than interpretations. In The Phantom Public (1925), he again treated the problem of communication in politics while continuing to doubt the possibility of a true democracy. He nonetheless rejected government by an elite.